"...we (Reed, NYCC's parent company) are producing a Cosplayer music video at NYCC. We are looking to shoot sequences of CPs posing and moving in artful manners but also keeping it fun and playful at the same time. Our goal is to create a compelling showcase featuring the amazing CP talent in and around the NYC area using the backdrop of our show as a canvas. We are looking for 40 diverse and impressive CPs to participate on Thurs, 10/10. We will shoot in a 3 to 4 hour block of time before the show opens at 3pm - prob 10a - 2p." 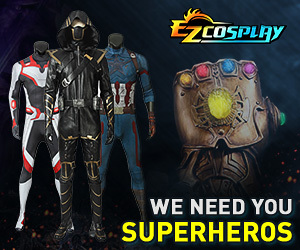 So if you're interested (Note, don't expect any free swag, badges, early access or anything, it's STRICTLY for funsy), feel free to drop me a line at [email][email protected][/email] with your name, you're character and a photo of said costume. I'll try to answer any question you may have here or at said email address. You submiteed Celes right? The LTE on my phone is draggggingggggggggggg for some reason, but to answer your questions, the early access was in reference to the dealer's hall floor, not the Javitis, where the shooting would be done. In terms of what to bring, as far as I know it's just costume and your badge. I sent a email your way!